On the heals of devastating hurricane Harvey in Texas, Irma barrels toward Florida this weekend, putting thousands of people, domestic animals, and wildlife, including endangered sea turtles, in jeopardy. Sea turtle rehabilitation facilities that care for injured turtles have been working ’round the clock, preparing for the worst. According to Dr. Charles Manire, veterinarian and director of research and rehab at Loggerhead Marinelife Center in Juno Beach, FL, past experience proves there’s no safe place in Florida for sea turtles in a hurricane—especially corkers like Irma. In this video he anticipates the Center turtles’ move well inland to the Georgia Aquarium. I visited the University of Texas’ non-public facility, Animal Rehabilitation Keep (ARK) in Port Aransas, Texas while researching my novel, Elizabeth’s Landing. Unfortunately, the facility sustained severe damage, but I was glad to hear the wildlife in its care and the staff were unhurt. Other key nesting and conservation facilities like Padre and South Padre Islands south of Corpus Christie escaped a Harvey hit. Destructive impacts of a hurricane begin before the storm reaches shore. The storm’s wind energy mixes warm surface and deeper cold waters, lowering salt levels. Wave size increases, damaging underwater formations and stirring up tremendous loads of sand from the bottom. The food web for numerous species can be altered, short and long-term. Relocating sea turtle eggs is done but it is delicate, even under ideal conditions. Once the storm hits land, storm surges have deadly impacts on existing nests or nesting turtles. Eggs can drown or become exposed, scattered, and destroyed. Adult or emerging hatchlings are also at high risk. However, according to Joe Scarola, a biologist for Ecological Associates Inc., a company that monitors sea turtle nests, Irma’s timing comes when the majority of eggs this season have already hatched. Nesting season continues through the end of October in Florida, so there’s a chance more eggs will be laid. Still it’s hard not to imagine thousands of recently hatched, 2″ turtles aren’t having a harrowing experience in today’s raging seas. The very good news is it’s been a banner year for Florida sea turtle nests. Loggerhead Marinelife Center reports over 19,000 loggerhead, green, and leatherback nests on four beaches it monitors. Other groups also report many more nests in their regions. Rehabilitating and protecting sea turtles is very expensive. Please consider a donation of any size to the organizations working valiantly to save them. Find one in your area here. NOTE: If you come across eggs or stranded sea turtles of any size, report them to a local wildlife authority or sea turtle rescue and rehabilitation organization. Nesting for many sea turtles is going well this season — a thumbs up and huzzah to everyone, working to aid, repopulate, and love these wonderful creatures. On the downside, poaching activities for sea turtle eggs and meat continues in Asia, Mexico, and countries like Costa Rica, where volunteers were seriously threatened last month by a gang perhaps linked to drug trafficking. In some cultures, sea turtles, like other wild (many threatened or endangered) species’ parts or eggs are believed to have aphrodisiac properties when consumed. Apparently, there are risks (of more than a belly-ache) in that special Saturday-night-delight meal. Up to eight tons of dead endangered sea turtles were seized in central Vietnam in Dec. 2014 , after 4 tons where of the same were confiscated in November 2014. They cost abt. $9US each from fishermen and, turned into jewelry that can sell for $34+/- each piece. to the shell of a crab. Photo courtesy of Carla Ster and Rohinee Paranjpye. And some of these diseases are resistant to antibiotics, leading, in some cases, long-term implications for the patient. Bacteria that may cause illnesses in people live on the outside of sea turtles, too. As research on sea turtles continues, it’s time to get the word out, to shift to new belief systems. Someone, please, find a an invasive weed and spread the word it’s the new, better Viagra. May bundles of otherwise useless vegetation sway, drying in the breeze, in once sea turtle slaughter huts. Man-made waste accidentally or deliberately contributed to lakes, streams, seas, and oceans. Plastic pollution leads the pack of insults, but as the powerful photo above attests, derelict fishing gear (DFG) adds untold insults to mounting injuries. Some days reading environmental news sends an emotional death ray into my hope for our planet. I end up deflated as an old tire. This World Oceans Day, I decided sharing a few success stories might put the spin back in my wheels. Every year hundreds of thousands (maybe millions) of people gather to reclaim from, or keep trash out of, our oceans, seas, and other waterways. Some gather for a day. For others cleanup is a career. Here are a few examples of what’s working. 561,895 volunteers in 91 countries collected 16,186,759 pounds (7,226 metric tons) of trash over 13,360 miles. One of the most unusual finds was $1,680 in cash. Largest “pieces” haul – cigarette butts – 2,117,931 of them. Ick. See if you can give up any of the Top 10 Items Found. I bought glass and stainless drinking straws and re-useable bamboo picnic ware to keep in the car. They make great presents, too. In 2009, NOAA’s Marine Debris Program employed off-season crab fishermen to remove nearly 3,000 derelict crab pots from Oregon’s coastal waters. The Program’s Fishing for Energy funds paid for disposal bins along the coast where fishermen could discard used gear for free. A steel company recycled and sheared the waste, and an energy company burned ropes and nets as renewable fuel. The program was so successful, it will continue to remove additional pots through an industry-led partnership of the Oregon Dungeness Crab Commission, state Department of Fish and Wildlife, and NOAA. Fishermen in North Carolina’s Pamlico Sound (through another NOAA partnership), are collecting and re-purposing 4 to 7 tons of crab pot material into 700 linear feet of oyster reefs. The goal is to rebuild the local, Eastern oyster fishing industry. I am SO stoked about the Marine Debris Tracker app. A collaboration between NOAA’s Marine Debris Program and the University of Georgia’s Southeast Atlantic Marine Debris Initiative, this free app for Apple and Android smartphones and tablets turns you into a citizen trash scientist. Download the app, track, and log your trash collection sites (through GPS), regardless of where you are in the world and whether you’re on a beach, on the ocean, your street, school, local stream ~ wherever. Your info goes into a growing global database, allowing scientists to better understand the world’s trash picture. From knowledge comes solution, right? This little free tool is so impressive it was included in Apple’s 25th Worldwide Developers Conference promotional video, “Apps We Can’t Live Without.” Oceans advocate Emily Penn, of Pangaea Exploration collects data on marine debris. MDT is an app she “can’t live without,” she told the Apple audience. Just think of the progress we could make if every kid with a smartphone or tablet starting tracking (and picking up) trash. I’m no Emily Penn, but my ipad’s loaded and a collection bag’s by the door ready for today’s test run. Ahh, I feel a lot better now. If you have an environmental success story (or you download MDT), please share your good news in the comments. Peace. Thanks for doing what you can. P.S. The beautiful Monk seal in the opening photo was one of two rescued off Hawaii from this derelict net. Leatherbacks are the largest sea turtle species (up to 6 ft long, 2000 lbs), arguably not the prettiest, but certainly the deepest divers. While not as old as sharks at 320 million years (here even before trees), leatherbacks, like all sea turtle species, are ancient creatures–over 100 million years on the planet. Archelon skeleton, an ancient sea turtle, 80.5 million years old. Photo Wikipedia, from the Peabody Museum at Yale. The ancient Archelon above, believed to be a direct ancestor to the leatherback, was swimming the oceans in what is now South Dakota. Fast forward–skidding toward the cliff? Here we sit 100 million years later, staring into the barrel of extinction for the glorious, ponderous Pacific leatherback. Important Western Pacific nesting sites have dropped 78% in 30 years. Higher global temps warm nesting sands, leading to male-only hatches. Recognizing the Pacific leatherback’s peril and the importance of jellyfish feeding grounds off the Golden State (a stunning 7,000-mile migration), legislators placed restrictions on fishing practices and created fishing exclusion zones along the California coast. Oregon and Washington adopted similar restrictions in an effort to protect and extend loggerhead migration and feeding territory. In 2012, California designated the Pacific leatherback our State Marine Mammal. The annual celebration day, October 15th, is a chance to remember they’re here, but more importantly to recognize their escalating decline and double down on conservation efforts. Nothing short of rapier-sharp vigilance, hard work, and strong education efforts will ensure the Pacific loggerheads’ future. Let’s start with the fun (subtext: cheerful education leads to action). 2) Spread the word! Visit Sea Turtle Conservation Program’s list of celebration ideas. I’ve taken the pledge, visited, “Liked,” and shared the Leatherback’s Celebration Facebook page. Read, share or gift books about sea turtles. Fiction or non-fiction, there’s something out there for all ages. 3) Collect and cut out the plastic! Plastic and beach debris collection is paramount to keeping litter out of the mouths and guts of sea turtles (leatherbacks are particularly prone to eating any plastic, including balloons, that looks like a jellyfish). Beach debris can block hatchlings from reaching the ocean and make them more vulnerable to predators. A challenge: try going without plastic for 1 week. track how much and what plastic you avoided using or buying. Post what you learned here, your own blog, Facebook, etc. What can you turn into permanent changes to your plastic use? My Plastic Free Life is an encouraging and practical blog (and book) to make the shift a whole lot easier. Here are two products I’ve adopted. Eliminated plastic shampoo and cream rinse bottles and plastic floss container. Love both products. Almost plastic free. Floss roll is in a paper box, but uses a little plastic bag inside to keep the mint oil fresher, longer. Unflavored floss and non-plastic toothbrush next on the list. Celebrating=balloons, right? WRONG! Balloons and their ribbons deplete scarce and dwindling helium supplies (critical to medicine and science), drift for miles, and end up as deadly trash for sea turtles, mammal marine life, and birds. Balloons Blow has festive, safe alternatives and more information. 4) Food fun. Bake dinner rolls, breakfast treats, or breads in the shape of sea turtles to give to friends and family with info about loggerheads and the Celebration Day. Boudin Bakery Fisherman’s Wharf, San Francisco, CA © BrokenSphere / Wikimedia Commons. How about turtle cupcakes to give out in class with a note asking people to reduce plastic use and to learn about sea turtles. Give them a link or three to your favorite leatherback websites, photos, or articles. Healthier alternatives? Make a turtle-shaped fruit bowl from a watermelon. Invite the neighborhood in. Here’s a charming, and edible, fable about how land turtles went to the sea (complete with carved vegetable and egg turtle characters and curry recipe) from VegSpinz. 5) Artistic Fun. Halloween’s coming. Carve a turtle image into your pumpkin and hand out info on how balloons can turn into real-life “ghouls” for wildlife. 6) Donate. Leatherback sea turtles, like every endangered species, hugely depend on us human beings stepping up to solve problems driving them to extinction. Species celebration days are reminders of our part and our responsibilities. Give, if you can, money, time, and/or talent to your favorite sea turtle organizations. Two that work for Pacific leatherbacks are Sea Turtle Restoration Project, Sea Turtles Forever and See Turtles (eco trips to work with leatherbacks). Egg and turtle predation: by humans and animals. Poaching (with increasing links to drug use and trafficking) in third-world countries tops the list of species decline. Quasi-legal egg collection is sometimes part of agreements between locals and turtle conservationists who share the eggs for mutual benefit (80%/20% for example in Guatamala). One group for livelihood and food. The other for hatch and release. Longline and shrimp bottom trawl shrimp fishing (pelagic longline fishing is now banned off CA, OR, and WA coast). Up to half the leatherback turtles each year are caught and killed or injured in longline fisheries. They continue to drown in shrimp nets due to lack of Turtle Excluder Device rule enforcement and low fines. Longline targets migratory fish species: tuna, swordfish, and halibut and the rapid reduction in the numbers of Pacific leatherbacks may be telling us current regs and practices aren’t working. Marine pollution: After fishing, THE MAJOR CAUSE OF DEATH among adult leatherbacks: plastic bags, styrofoam, and other marine debris that mimic their food–jellyfish. Entanglement and drowning in fishing gear, oil spills, and boat strikes also take their toll. Beach development: Increased erosion and night lights disorient hatchlings who head toward the brightest light, their guide to the horizon and water. They end up in someone’s patio or mired in dune grass instead. Other information sources used in this blog. Marc Carvajal, San Francisco State University (The Biogeography of Leatherback Sea Turtles); Sea Turtle Restoration Project (“Amazing Facts About Leatherbacks” pdf download); Wikipedia. Ages 10 to adult. Widely available in paperback and e-books. I donate part of book sale profits to sea turtle conservation programs. Activist, author, and $1,000 Kohl’s Cares Scholarship winner, Cameron (Amie) Koporc has done more for sea turtles than most people think of doing in half a lifetime. Now she’s started a petition at Change.org to get legislators to make Georgia the 7th state to protect wildlife and reduce pollution by outlawing mass balloon releases. A former resident of Florida, now living in the Atlanta Georgia suburb of Roswell, Amie’s learned a lot about sea turtles since her family adopted a sea turtle nest in her name as a 7th birthday present. She recently told the Roswell Neighbor news journal, “When I grow up I want to work in a rescue center for ocean animals. I just hope it isn’t too late by then.” So do I, but she’s working hard to make sure turtles and other animals remain part of the planet’s ecosystems forever. This Blaire Wirthington photo on my website page Threats to Sea Turtles illustrates what can happen when a balloon ends up at sea. This little Kemp’s ridley was lucky someone spotted him. The ribbon or string can be as deadly as the balloons. While Amie’s petition is directed at influencing Georgia politicians, sea turtles, birds, and people everywhere are impacted by balloon trash. All states should get the message, so each one added works to tip permanent change in the right direction. As of this writing, Amie has upped her signature goal to 2500 and is 408 signatures shy. Help by adding yours. Still think balloons are harmless? Take a look at Balloons Blow’s photo gallery of what can happen when balloons are enjoyed without thought to what happens when they come down, pop, and no longer fun. Take a minute to look at all these ideas for celebrating, memorializing, and getting attention WITHOUT balloons. Most add to the planet or the animals and people on it, they don’t just decorate. This “follow me” balloon was left behind in my neighborhood today after a weekend open house. Thanks to Amie and her family for all they are doing to take a stand for sea turtles and the planet! I hope to find her book Juno’s Journey in print someday! In my World Ocean’s Day post last June, I summarized the mounting problem of plastics in the world’s oceans. This map names the North Pacific gyre–the most infamous–but there are five, major “gyres” on the planet. The one off America’s Atlantic coast is home to the Sargasso Sea. All five gyres are growing plastic garbage dumps, creating serious problems for wildlife and ocean habitat. Countless young people are making positive changes to our planet’s future. Yesterday, friend and fellow writer Ginny Rorby blogged an appeal to help talented and dedicated photographer, Justin Lewis and author Michelle Stauffer, realize their documentary short film and book project through Kickstarter. To learn more about Justin and Michelle’s projects, see (and buy!) stunning photographs, and watch their films: www.70DEGREESWEST.com. 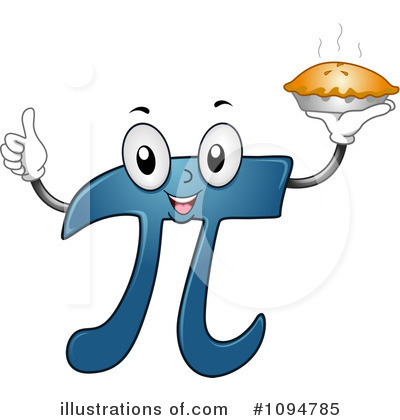 Happy “Pi (Pye?) Day” from the math phobic! Family rumor: we Pyes WILL go on forever!